New Delhi (KP) - Over one hundered saroops of Guru Granth Sahib Ji that were being transported to Canada sealed in a container have arrived back in New Delhi. DSGMC President, Paramjit Sarna, is receiving the wrath of the Sikh Sangat worldwide as the saroops were being transported without any regard for maryada (code of condfuct). 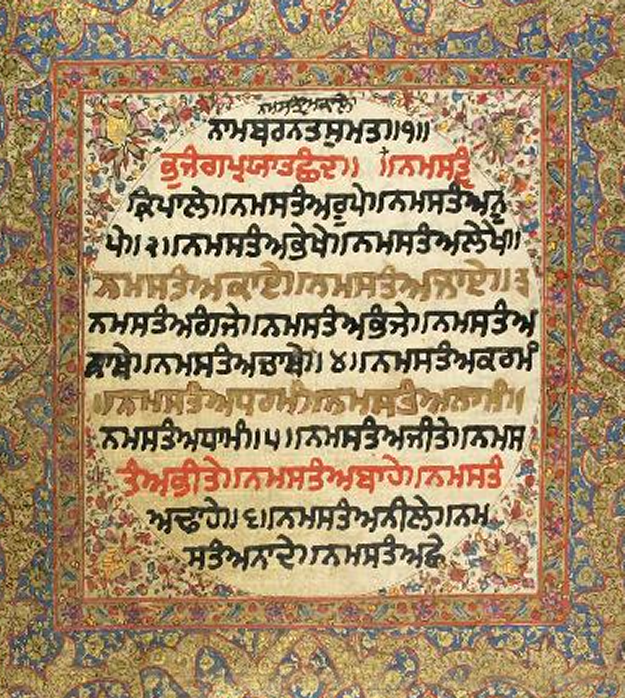 According to mandates of Akal Takht Sahib, only the Shiromani Gurdwara Parbandhak Committee has the right to publish saroops of Guru Granth Sahib. The DSGMC not only violated the mandates of Akal Takht Sahib by publishing the saroops, many argue that they have committed horrendous blasphemy by transporting them sealed in a trailer. While talking to the press late night on October 29, Paramjit Sarna held that the possession of saroops and other materials was reclaimed by the DSGMC after the container was inspected by the customs department. Several senior members of the DSGMC were present at the customs department. Officials of several Panthic Jathedandis were also present to ensure the saroops are taken to appropriate locations according to maryada. Panthic organizations lashed out at DSGMC officials for not taking proper interest in this matter. The inspection process, which was carried out for several hours, could have been halted easily if DSGMC had appealed to the department explaining the situation. Furthermore, Panthic organizations alleged that the SGPC was also responsible for sacrilege being caused to saroops of Guru Granth Sahib as the organization had deliberately failed to take actions against private publishers which are operating all over, several even close to the premises of Harmandir Sahib. This issue has also been reported to Akal Takht Sahib but no decision has been taken so far in regards to what, if any, actions will be taken against the guilty. Paramjit Sarna has already offered his apologies and has agreed to appear at Akal Takht Sahib if asked. Jathedar Vedanti also acknowledged that Sarna's apology letter has been received along with a letter mailed by the Satnam Education Trust based in Canada who had "ordered" the saroops from the DSGMC. The letter was sent on a Satnam Education Trust letterhead and signed by Balwant Singh, a representative of the Canada based organization. DSGMC sikhs are nothing more than a bunch of pseudo sikhs. They do not practise any of the sikh values beyond the 5 K's . You will not see them in any construction worker, farming role or soldiering role. A recent discussion on 24 x 7 channel on ' child labour' saw a DSGMC variety of SIKH justifying child labour. HE looked so foolish and anti sikh in his discussion that i Feel he should be summoned by Akal takth and do some sewa . DSGMC Sikhs have to graduate them selves form being moneylenders or shopkeepers to true sikhs of guruji by dinmg some manual labour in society and not only in gurdwaras.